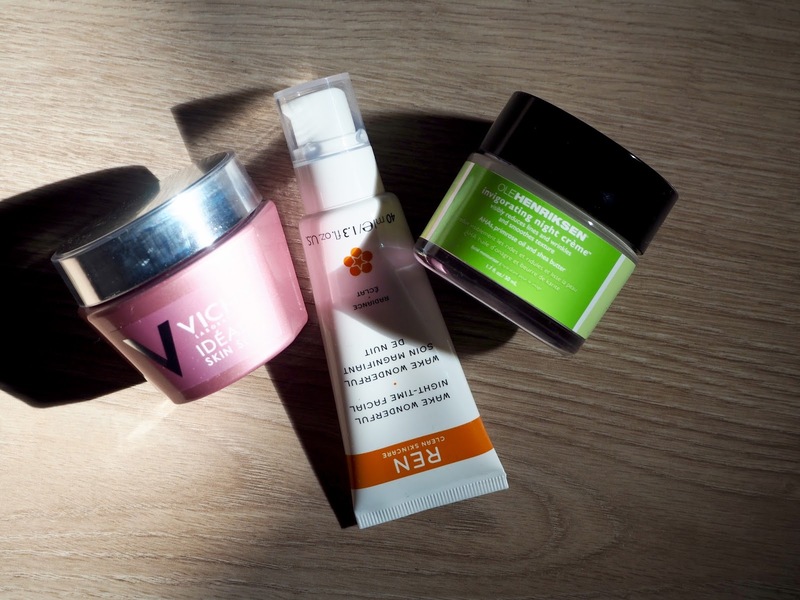 Ole Henriksen’s Invigorating Night Cream was the first I’ve tried, and the one I love the most. OK, maybe I’m cheating a bit with this one, but it’s a night-time only treatment, so I guess it counts. It’s loaded with Glycolic, Lactic and Fruit Acids, Vitamin C, Primrose Oil and Shea Butter. Perfect to slough away dead skin cells to reveal brighter, healthy-looking skin whilst stimulating collagen production and adding a good punch of nourishment —so you’re not left with flaky bits. The morning after, I was shocked when I looked in the mirror. Bear in mind that I’ve got hyper pigmentation on my cheeks and chin, so I was surprised to see that my skin looked so much calmer, my marks didn’t look as red and angry, and I think some active spots seemed to have reduced in size! I use this every other night, and lather up on oil the other, but I think I’ve found my night treatment you guys! Please note: this is different from the Night Treatment, and currently an Escentual exclusive. The one that is marketed as an overnight treatment is Vichy’s Idealia Skin Sleep. I’ve always been very intrigued by the Idealia line – Caroline Hirons is a fan – as it’s designed for those who suffer from fatigued, inflamed and dull skin (me, me and me). Their overnight mask promises to, “Leave the skin looking smoother, working overnight to ensure you wake up to a well-rested, fresh and radiant complexion” and there’s nothing wrong with that, aye. Hyaluronic Acid locks in moisture, Liquorice Extract is anti-inflammatory, Salicylic Acid smoothes and evens out skin texture and caffeine stimulates skin circulation and decongests. A power house in a metallic pink tub. So yes, the morning after: no break outs (yaassss), and yes to plump and radiant skin. A fairly recent discovery is REN’s Wonderful Night-Time Facial. It’s cream that you apply as the last step of your routine and lets you wake up with more luminous and brighter skin. Fermented ingredients are having a go at the moment and this one in particular contains a blend of Yeast Fermentation and Fruit Acids to exfoliate and stimulate cell renewal. Also, Cranberry Seed Oil reduces UV damage, Artic Blackcurrant Seed Oil repairs and soothes the skin and Minerals revitalises the skin whilst strengthening the cells. Whilst I can’t say it reduces wrinkles, it does brighten and clarify my skin to a certain extend. I like this as an extra treat when my skin needs some TLC or when my skin looks extra dull. So yes, my recent discoveries have definitely convinced me that not all overnight treatments block the pores and result in break outs. Holler at me to let me know your faves. Over and out.